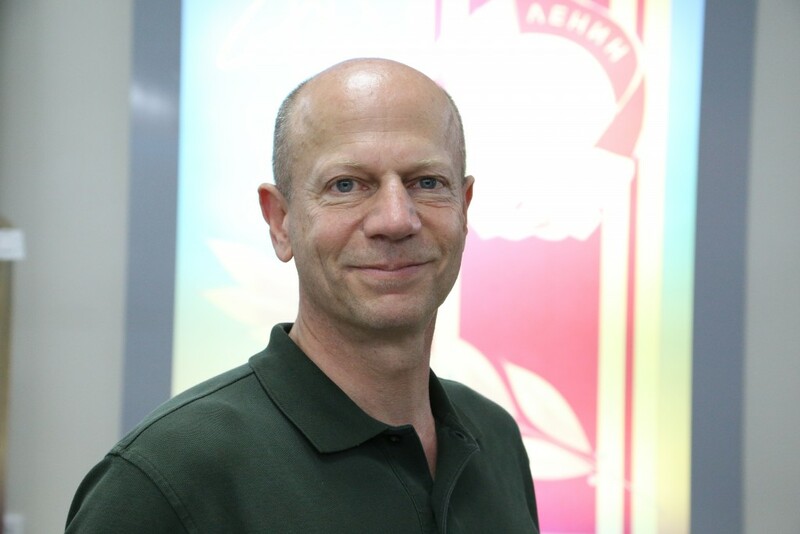 ASTANA – Andy Weber, who stepped down last summer as U.S. State Department Deputy Coordinator for Ebola Response, has more than 30 years under his belt of working to counter some of the most dangerous threats to mankind posed by weapons of mass destruction. Some of his most famous exploits included working at the heart of Project Sapphire, a top secret joint Kazakh-American operation in 1994 to remove almost 600 kilogrammes of highly enriched uranium, enough to produce two dozen nuclear bombs, from eastern Kazakhstan to the United States where it was down-blended and used as fuel for power stations. In an exclusive interview with this newspaper, Weber shared his views on the most pressing threats the mankind faces today and the lessons that can be drawn from cooperation between the United States and Kazakhstan under the famed Nunn-Lugar Cooperative Threat Reduction Programme. In Kazakhstan, you are known as a prominent American expert in the field of non-proliferation of weapons of mass destruction. You have more than 30 years of experience in this field. What would you advise the world today? 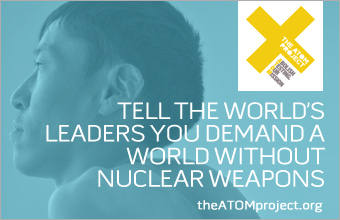 First, we need to redouble our efforts to realise the shared vision of Presidents Barack Obama and Nursultan Nazarbayev of a world without nuclear weapons. Together we have accomplished so much to make the world safer from weapons of mass destruction and terrorism. Second, we need to work together and with global partners to prevent and prepare for the potential that terrorists will develop and use biological, chemical or even nuclear weapons. What is the hierarchy of threats? The greatest danger is that nuclear weapons will be used. We have avoided this for seventy years, but I am concerned that the possibility is trending in the wrong direction. This is why former Secretary of Defence William J. Perry and I have proposed a global ban on all nuclear armed cruise missiles. These are among the most dangerous and destabilising class of nuclear weapons. They can be launched without warning from the air, land or sea, and it is impossible to know if one flying towards your country is nuclear or conventional. After this, I am extremely concerned about WMD terrorism using biological weapons. In this regard, how do you assess President Nursultan Nazarbayev’s initiatives that he voiced at the jubilee session of the UN General Assembly? I applaud President Nazarbayev’s leadership and moral authority, and strongly support making a nuclear weapons free world the “main goal of humanity in the 21st Century.” It will be hard, but together we can and must do it. 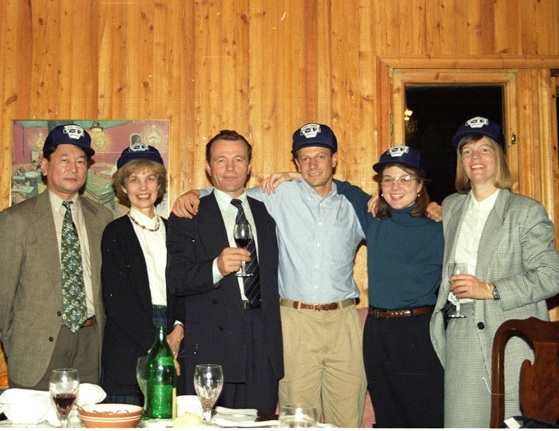 In the early 1990s, you worked at the U.S. Embassy in Kazakhstan. Which significant events, facts or meetings of those years do you recall? Living and working in Almaty for two years after Kazakhstan’s independence was the most rewarding and exciting time in my life. I have so many wonderful personal and professional memories, but most of all it is the incredible Kazakh partners I remember. The hospitality, warmth and commitment to building a great future in a time of uncertainty inspired me every day. Now, on to the most interesting things. During the last two decades, you took part in all major disarmament projects of Kazakhstan under the Nunn-Lugar programme, including the destruction of silo launchers at the former Semipalatinsk polygon and plugging the tunnels at the Degelen massif there. What was the most difficult in your peacekeeping mission? How did you manage to break the military lobby? I learned that the small bureaucrats can be the worst, but we always had access to the highest levels when needed to overcome obstacles. Since we shared the objective of making Kazakhstan and the world safer, and enjoyed personal trust developed over years of partnership on sensitive projects, in the end we always succeeded. That was the magic of the Nunn-Lugar Programme. 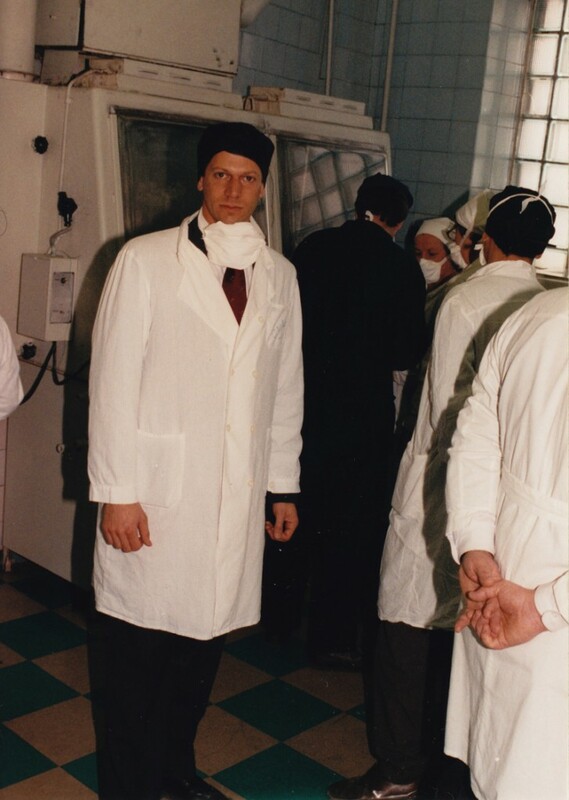 People in Kazakhstan remember you as one of the key characters in the implementation of Project Sapphire, a top secret Kazakh-American operation to transport 600 kg of highly enriched uranium (HEU) from the Ulba Metallurgical Plant (UMP) to the U.S. in 1994. In the Pulitzer Prize-winning book by David Hoffman “The Dead Hand,” it was written that the then Director of UMP Vitaliy Mette contacted you in order to inform about the existence of almost unprotected HEU. Do you recall the chronicle of those days? Do you plan to write your own book? Yes, I remember those events like a movie in my head. Enough weapons grade uranium metal to make dozens and dozens of nuclear weapons! What we did together to eliminate this threat was historic. People made it happen – Nursultan Nazarbayev, Vladimir Shkolnik, Vitaliy Mette, Sat Tokpakbayev, Bolat Nurgaliev, Vladimir Bozhko and many others. A Hollywood producer recently asked me to help make a major movie about it, and yes, I may also write a book. In Hoffman’s book, there are chapters devoted to a no less terrible object –the anthrax factory in Stepnogorsk. Let me give the following paragraph: “In Building 221, Weber climbed to the top of one of the twenty-thousand-litre fermenters and looked down into it with a flashlight. The cylinder was made of specialty steel with a resin lining. He could see the impellers attached to a central rod that would stir the anthrax spores. He could not see the bottom in the dark, four floors below, but he got a full sense of the incredible volume, the trillions of spores of anthrax bacteria that would be swirling inside the chamber, enough to wipe out entire populations.” Were you scared? I had received special vaccinations and wore protective gear, so I was not scared. The scale was chilling. The secret factory was built and certified to produce 300 tonnes of anthrax biological weapons during a mobilisation period of eight months. Evil is the only word to describe it. There are also the following words in that book: “I had never bought into Reagan’s “Evil Empire” thing. I was a product of liberal eastern schools, I went to Cornell, but there it was. I was face to face with evil.”Evil called nuclear, chemical and biological threats that you confronted as the U.S. Assistant Secretary of Defence is to this day in front of all humanity. If the world sounds the alarm about the nuclear and chemical threats, the voice of the planet is not so alarming about the biological threat. In this light, I think the international community has not yet appreciated the “Stepnogorsk disarmament” to the extent it deserves it. What is your view? I know of no other case in history where two countries worked in partnership to safely eliminate a massive biological weapons factory like Stepnogorsk. Profoundly, many of the same people who built it expertly carried out its safe destruction. Many opposed this project, but President Nazarbayev was steadfast in his desire to rid Kazakhstan of this blight on humanity. For this the world is in his debt. Until your retirement, you held the post of Special Coordinator of the U.S. State Department on the fight against Ebola. It is interesting, “is the devil so black as he is painted”? The Ebola outbreak in West Africa showed how vulnerable the world is to biological threats, both natural and intentional. The world was slow to react, but Barack Obama and Ban Ki-Moon mobilised over seventy countries, including Kazakhstan, to support the African response. Together we may have saved a million or more lives. Now we need to make sure every country has an effective system to prevent, detect and respond to epidemics. This is why over fifty countries and international organizations have joined the global health security agenda. And this is why the U.S. is supporting the construction of a world class centre for disease control in Almaty. Following your retirement, last summer you came to Astana in order to take part in a seminar devoted to the lessons of cooperation between Kazakhstan, the Russian Federation and the U.S. Could you share your impression of a new meeting with Kazakhstan, with our capital? Visiting beloved Kazakhstan I am amazed by what you have accomplished in just twenty five years. Most of your neighbours have not done as well. It shows how much difference wise leadership and hard working, talented people can make. This year our country will celebrate the 25th anniversary of independence. What would you like to say to the people of Kazakhstan? From my heart I am so proud to salute the people of Kazakhstan and congratulate you on your resilience and incredible success. Rakhmet and good luck Kazakhstan!